We deal in Mixed Chrome Pigment that are available in varied attractive colors and are used in industries like textile, inks (offset inks, aqueous flexography ink, solvent flexo, polyamide, vinyl, malic, nc/pa based ink), water base paints, industrial paints, plastics, rubber, cosmetic and others. These textile pigments are available in bright, brilliant and strong shades. It is amongst few red pigments which has very good fastness to soap and hence used in making printing inks for soap wrappers and also in the preparation of textile printing emulsions. With our wide domain expertise, we provide superlative Middle Chrome Pigment. 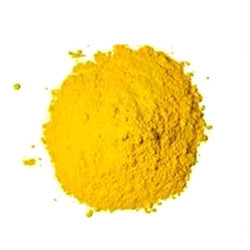 Our Middle Chrome Yellow Pigment is perfect for paint, PVC leather, liquid ink, plastic and various other sectors. Endure high temperatures our Middle Chrome Pigment is an excellent coloring pigment. 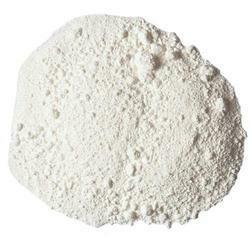 We have carved a niche as one of the chief Pure Middle Chrome Pigment Manufacturers based in India. Our accomplished and devoted professionals are involved in offering Middle Chrome Pigment. Experts process this product at industry permitted processing unit that is embedded with advanced machines and tools. As a quality focused firm, we are engaged in offering a high quality range of Chrome Pigments. Middle chrome is reddish yellow shade. It is typically a pure lead chromate precipitated in the monoclinic structure. We are engaged in offering a wide range of Chrome Pigment. These pigments are used for formulating paints and enamels that are non toxic and non scaly. These inorganic pigments are eco-friendly, safe to use, pure and free from adulterants.